On arrival at the museum we decided to join a collections highlight tour. I would so highly recommend doing this to orientate yourself and get a taste of what’s on offer. We started in the American Art wing and moved through Asia and Europe. 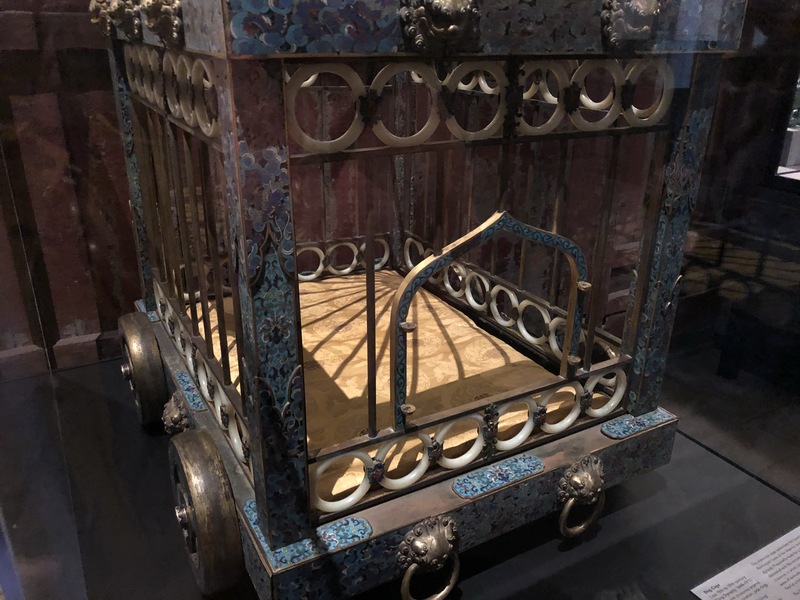 My favourite object was this dog cage from China. It is from the Qing Dynasty and is believed to have been made around the late 18th century. According to the label, it represents the luxury of the Chinese Court. Imagine seeing a cute little puppy being treated like an Emperor. When not going for walks, the dog was able to relax on a silk pillow and be fed delicacies. The workmanship on the cage is unbelievably intricate. 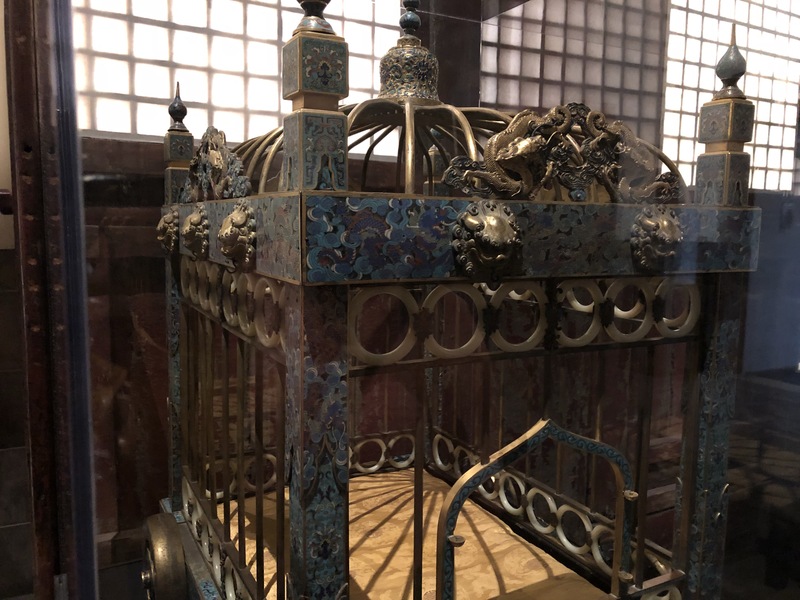 Five clawed dragons surround the top of the cage and there is rare white jade everywhere. A cage fit for a good boy. We were amazed on the tour by the number of architectural elements and objects inside the gallery. There was a complete Japanese Tea House reconstructed on the second floor. It felt as though you were inside a museum inside a gallery so ultimate level of inception. 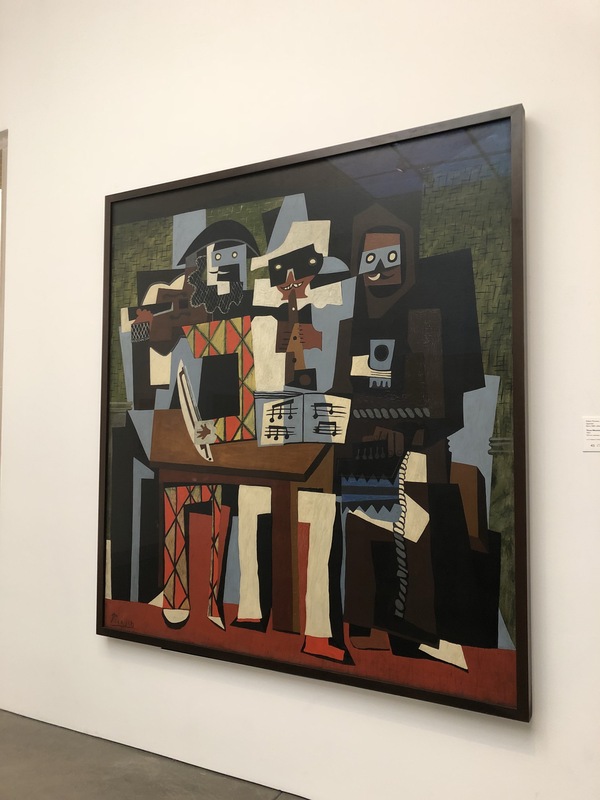 Another highlight of the highlight tour was seeing the Three Musicians by Picasso. While the artwork label is incredibly minimal, we heard some great stories from our guide. One was that the painting is actually an autobiography. 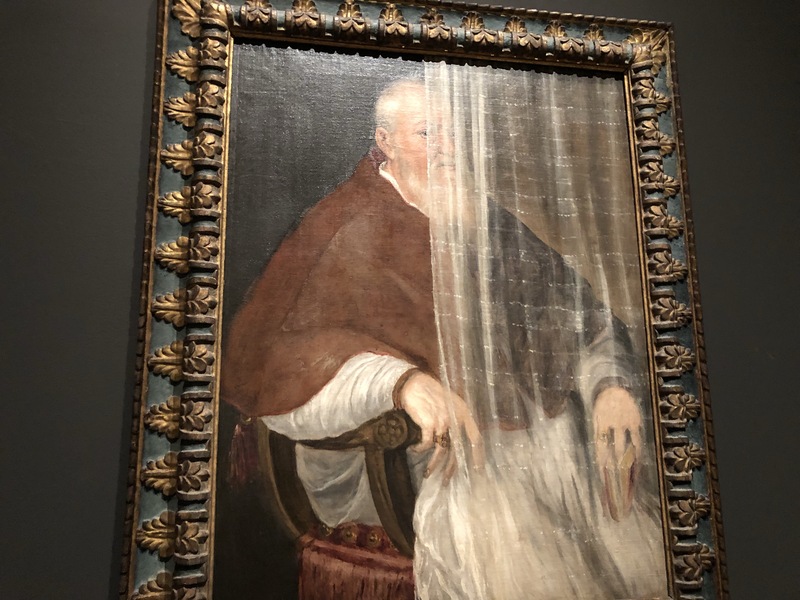 Picasso is the jester, a friend who died of the Spanish Flu is in the middle, and the monk is a friend who converted to Catholicism and entered a monastery. It is quite a sad painting as Picasso never saw his two friends again. These are just two of the many artworks mentioned on the tour. It was a really great way to start our visit and we developed a much clearer idea of where to go next. 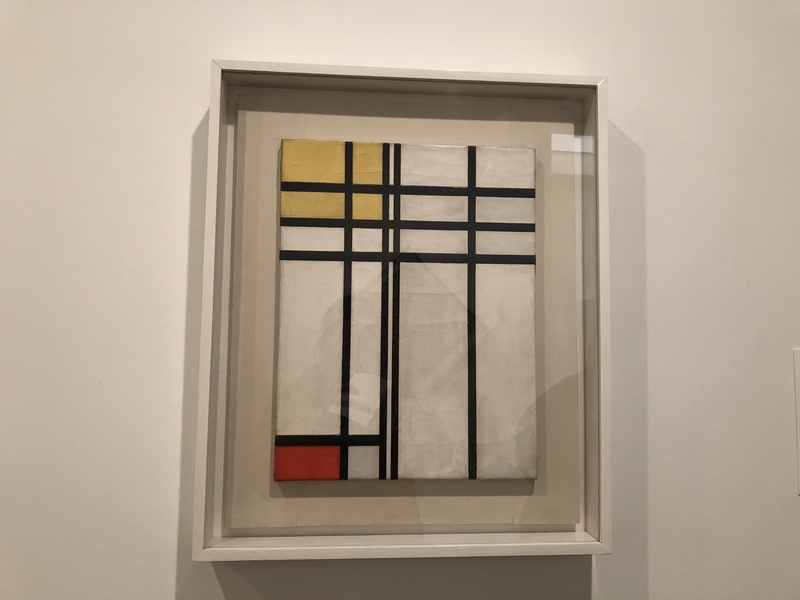 I was beyond excited to see some works by Piet Mondrian. 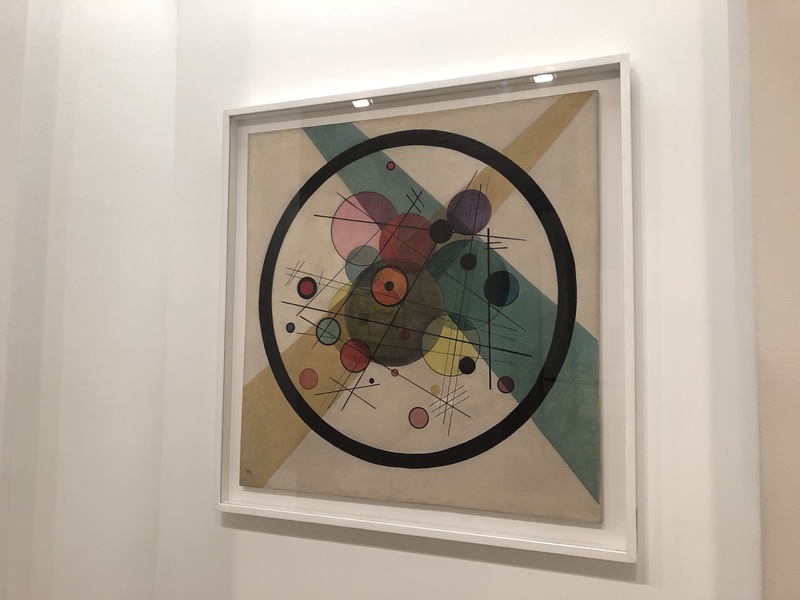 There were a couple of small examples on display just casually sitting alongside a Kandinsky. In the second half, the focus shifted from showcasing the collection to revealing how it has been conserved and restored. There are two case studies I am going to share. 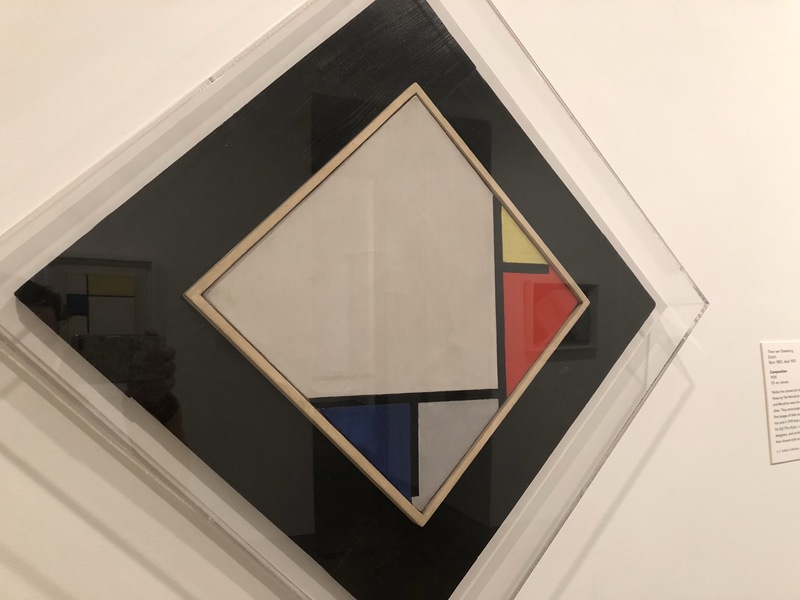 They were presented really well in the space and encouraged visitors to learn a little more about the treatment of artworks after they have been acquired. Firstly, a female artist in the Old Masters exhibition! 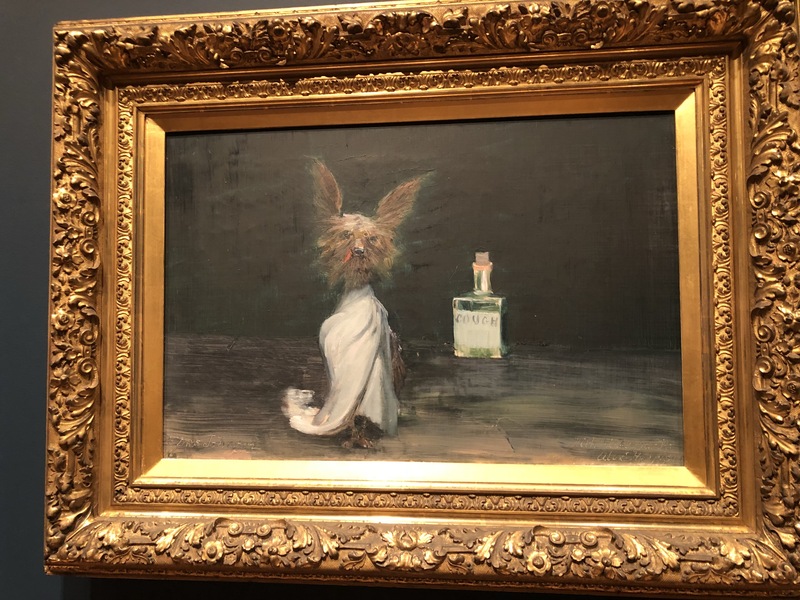 The painting on display shows two lively characters drinking away the night. Standing behind one of them is a skeleton reminding them of their doom. The painting didn’t always look like this. 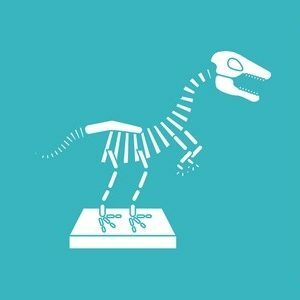 In fact, when it entered the collection the skeleton was completely absent. A scholar who specialises in Leyster’s work, knew the painting quite well and showed Curators an old copy of the painting with the skeleton. 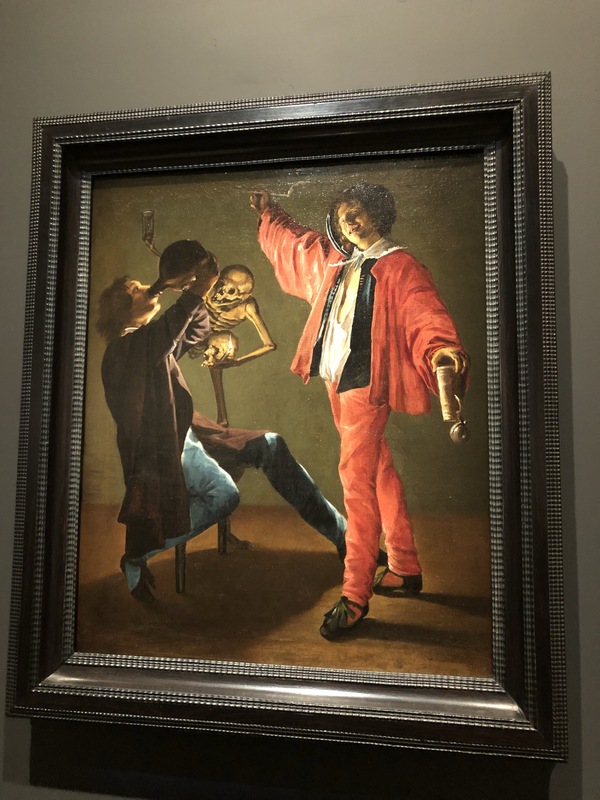 Dutch paintings from the 1600s onwards often contained warnings about foolish behaviour so the skeleton would make sense in this context. Conservators to the rescue! After some scientific analysis, it was discovered that the skeleton had been painted over to create a more light hearted scene. The painting has since been restored to its former glory, skeleton and all. I loved how the label ended stating the skeleton may not get the attention of the revellers but it surely captures ours. The significance and duality of the painting is transformed when its original state is displayed. It goes from a scene of fun to a scene that warns against the perils of indulging in too much alcohol. With this painting, I enjoyed learning about the techniques used to determine original paint colours. Although the gown of this Archbishop looks red in colour, it was actually once a deep purple. 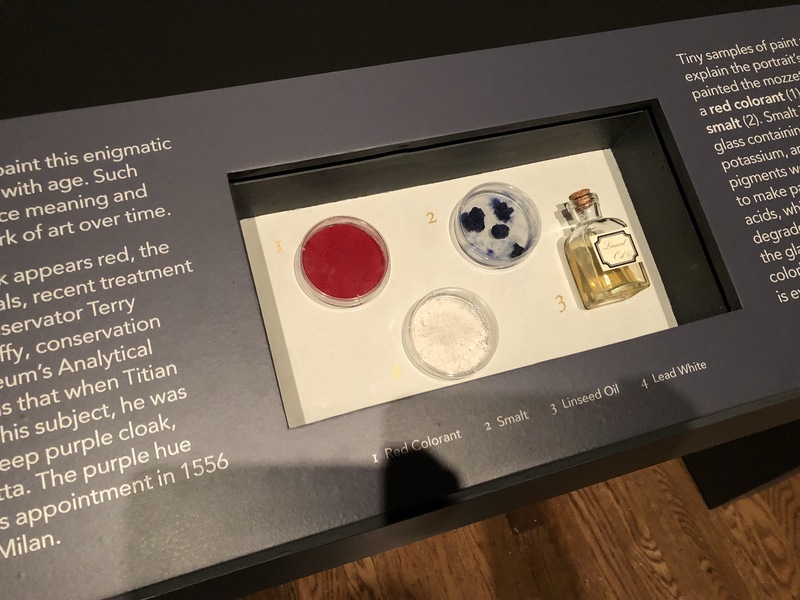 To further understand this colour change, there were samples on display of the type of paints and oils that Titian would have had available. As someone with limited knowledge of old painting styles, this particular display helped to clarify the ageing process of different artworks. After reading the information, I will be looking at other paintings from this period with new eyes. Are the colours I am seeing true or have they been distorted? This exhibition is included in the entry price and very worthwhile a walk through. Even just to see how the collector, Johnson, displayed the artwork in his home. The images looked like how a salon in France would have been organised with artworks hung three or four high on top of each other. 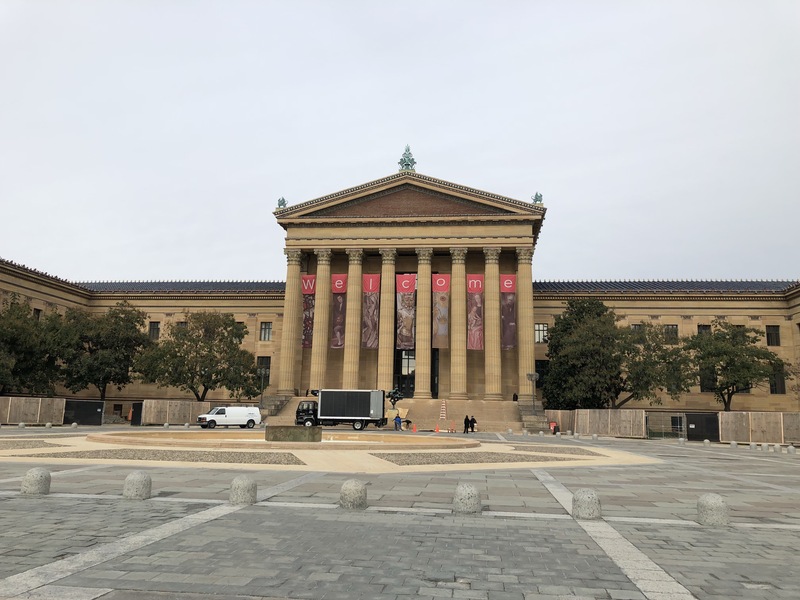 Without doubt, the Philadelphia Museum of Art has been my favourite art gallery I have ever visited overseas. Everything from the art to the gift shop was amazing. 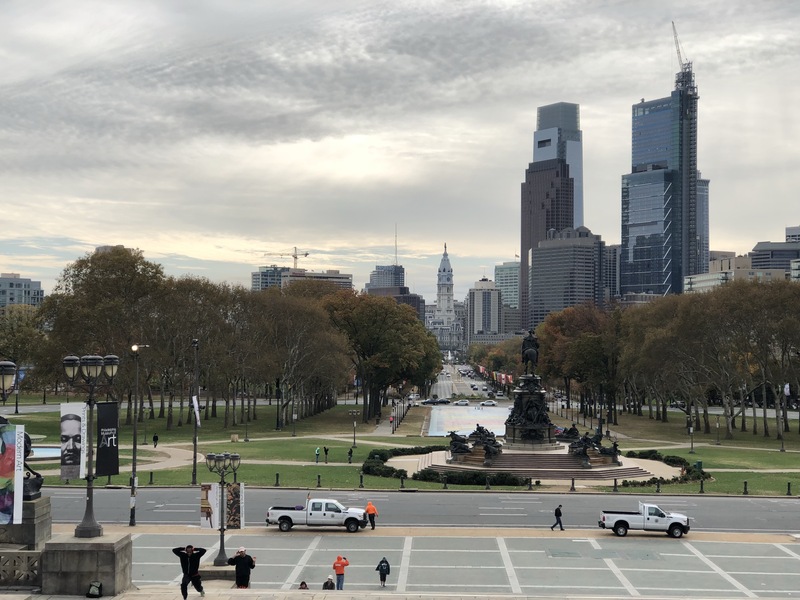 I am very glad we took our time exploring and saw a little of everything on the highlight tour.